"Through all of these years critics have tried to explain [the Book of Mormon]. They have spoken against it. They have ridiculed it. But it has outlived them all, and its influence today is greater than at any time in its history." A double standard is a logical fallacy in which one subjects one's opponent to a standard that one is unwilling to subject to oneself. In other words, one is not being fair and balanced in how one evaluates the arguments of one's opponent when compared to how one allows another to evalute his or her own argument. Matt Slick, in his treatment on textual variations in the Book of Mormon editions and manuscripts, employs a double standard that is both glaring and unfortunate. He, out of either "stunning ignorance or appalling cynicism" has demonstrated that, when forced to, some anti-Mormons are not below employing double standards to fight against the Church of Jesus Christ. On his website, Slick warmly endorses the Chicago Statement on biblical Inerrancy. This statement, drafted in 1978, details the modern popular view of Scrpitural inerrancy amongst Evangelical Christians. Slick himself passionatly writes that "recognition of the total truth and trustworthiness of Holy Scripture [read: inerrancy] is essential to a full grasp and adequate confession of its authority." Thus, when Slick turns his cross hairs on the Book of Mormon, one would expect him to apply the same standard he employed for the Bible, right? Unfortunatly, to expect such is asking too much of Mr. Slick. Nevertheless, it has some 4,000 changes in it. What?! Can he be serious! 4,000? That sure is a high number! How can it be? Why is this so if the book of Mormon was translated accurately by the hand of God? Why would the Mormon Church continue to change the work even after Joseph Smith's death? After these two questions, Slick, in his usual form, provides a handy chart which compares a "very small sample of the changes in the Book of Mormon" and informs his audience that "some are mere spelling corrections, but others are significant changes." Some are mere spelling corrections? 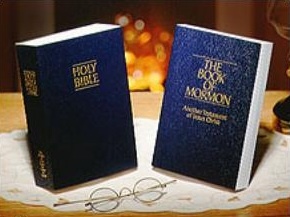 Royal Skousen has noted that the majority of the variations in the Book of Mormon are "mere spelling corrections" or grammar and punctuation corrections. He concludes that "errors have crept into the text but no errors significantly interfere with either the message of the book or its doctrine. These textual errors have never prevented readers of the book from receiving their own personal witness of its truth--every sincere reader." Thus we see first hand the disingenuous way in which Slick presents his information on the textual variations in the Book of Mormon. He leads his reader away with a red herring by making it seem that only "some" of the variations in the Book of Mormon are simply "spelling corrections". Furthermore, he also tries to make it seem like the majority of the textual changes in the Book of Mormon are of doctrinal import. However, just the opposite is the case. The vast majority of changes in the Book of Mormon are of minor importance (i.e. spelling, punctuating, grammar, etc.) while very few deal with doctrine. But how is Slick pointing out the changes in the Book of Mormon employing a double standard? Remember that Slick is a firm disciple of biblical inerrancy. For him, therefore, to attack the Book of Mormon based on textual changes while simutaniously ignoring the fact that the New Testament alone has had, according to some textual critics, "literally hundreds of thousands" of textual changes is a glarring double standard. For the same reason that the various sects of Christianity continue to change the Bible even to this day; namely, that 1) as new manuscript evidence becomes available new changes are required to best reflect the original texts and 2) because, as human beings at the time, the men who were charged with preserving both the Bible and the Book of Mormon were subject to making mistakes and corrupting God's word because of their limited ability to preserve writings. Where will the Mormon Church change it next? What kind of a question is this? Is it intended to reflect some spooky conspiracy that will alienate people more against the Church? Is it a rhetorical question gone horribly wrong? Whatever it is, if Slick wants to find out for himself, he can look at the 2004 Doubleday Edition of the Book of Mormon, published by the Church, which includes new variations based on the textual evidence brought forth by the work of Royal Skousen and others. Or he can go right to the source and look at the works of Royal Skousen himself on this subject. As you can see, the Book of Mormon is a changing document. Just like the Bible, and all of it's thousands upon thousands of changes through the centuries, right Mr. Slick? Could we not ask the same thing about the Bible if it is infallible? Why are there so many changes in the text if it is inerrant? The second mortal offense of the Book of Mormon was the admission on the title page that this record, translated "by the gift and power of God," might possibly contain mistakes. Mistakes? In a book revealed by the power of God? Another blasphemous conception. Yet Bible scholars accept this proposition [for the Bible] as readily as they do the first...and once the possibility of human errors is conceded, why should the idea of corrected editions of the Book of Mormon be offensive? Thus, Slick has set up both a double standard and a straw man in his attack on the Book of Mormon based on textual changes. He is attacking a book for changes that never claims infallibility and ignores the fact that a book he holds to be infallible contains many more changes. Until Slick drops any notion of biblical infallibility, he has no authority or ground on which he can attack the Book of Mormon for textual variations. : Daniel C. Peterson in Reflections on Secular Anti-Mormonism. While the comment was directed to Evangelical anti-Mormons in general, they apply well to Slick specifically. : Actually, Slick here is being a bit modest. According to Royal Skousen, Professor of Linguistics at Brigham Young University, who has worked on the critical text edition of the Book of Mormon manuscripts for well over 20 years, the number of changes in the Book of Mormon manuscripts is closer to 105,000. See his excellent discussion here. : Ibid. For Skousen's other works, see here. 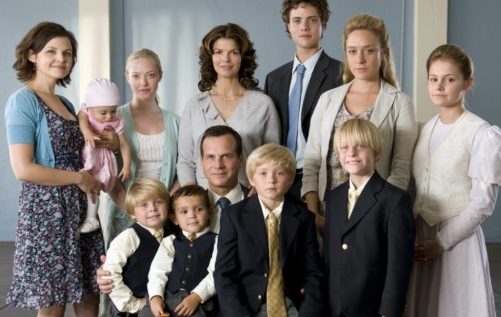 : Slick brings up the fact that "the Son of" has been added in later editions of the Book of Mormon, which, no doubt, is an attempt to cast doubt on the doctrines of the Book of Mormon. For a response to this charge, see here. Slick also brings up the changing of the name "Benjamin to "Mosiah" in Mosiah 21:28. For a response, see here and here. : Thomas A. Wayment "The Story of the New Testament" in The Life and Teachings of Jesus Christ: From Bethlehem Through the Sermon on the Mount edited by Richard Neitzel Holzapfel and Thomas A. Wayment (Deseret Book. 2005) page 45. For an excellent treament on the textual development of the New Testament, see Bart D. Ehrman in Misquoting Jesus: The Story Behind Who Changed the Bible and Why (Harper San Francisco. 2005.) See especially page 6, wherein Ehrman comments on how there are more variations in the New Testament than there are words in the New Testament. : Note that I do not have the intention to "attack" the Bible. I am simply trying to show that Slick is holding a double standard. Also note that, like the Book of Mormon, the majority of the changes in the Bible are small changes to spelling, punctuation, and grammar. : See the following two essays (here and here) by Professor John Gee of BYU. : On the subject of errrors in the scriptures, see John Tvedtnes in "The Mistakes of Men: Can the Scriptures be Error-Free?". Found online here. : Hugh Nibley in Since Cumorah (2nd edition. FARMS, 1981) pages. 3-4. First of all, let me point out that I intentionally skipped part 2 but plan to come back to it later. Second, the quote from Hinkley, at the beginning of part 3, is true enough, I think, but doesn't say too much. After all, it is notoriously difficult to reason with Mormons (at least in my experience) and they insist, apparently, on keeping their heads burried firmly in the sand. At any rate, let's get on to the post itself. You rightly point out, Steve, that people ought not to use double standards and/or straw men in their arguments. Yet this is precisely what you yourself-I presume unintentionally-do constantly. Time and again you will take a particular criticism of Mormonism, then water it down and twist it about, finally debunking something which is significantly different from what the original criticism was saying in the first place. I hope this becomes more clear as I continue. Slick, if he is in step with most inerrantists, does not hold that the English translations of particular extant manuscripts are inerrant. Rather, we inerrantists say instead that the original writings had to be inerrant because they are the very word of God. Once one admits that a particular writing, in its original, was written (in a sense) by God, if one views God as omniscient and unable to lie, there is no way to deny that the said writing has to be free from all error. This is a strength of Christianity over Mormonism in my estimation. To say that there have been many changes to the Bible over the years is a textbook example of the old bait-and-switch. It is not the Bible which has been changed but copies of the Bible which have changed over the years. Ehrman is right when he says there are more variants in the extant manuscripts than extant manuscripts themselves but, this says nothing against the traditional view of innerrantism. And textual critics like Ehrman are able to reconstruct the original text. There have been so many low tech copies that we are able to reconstruct the original through the science of textual criticism. And we see that the modern English versions are essentially identical to the lost non-Enlish original. So much for the "many plain and precious parts [which] have been removed." All of this is in marked contrast to the Book of Mormon [and this is always the part where you go astray]. The English Book of Mormon was written much more recently. It was first published only after the advent of the high tech printing press. I think I even heard somewhere that Smith prayed about an early edition of the Book of Mormon and felt it was correct (i.e. relative to what he saw in the stones). Apparently prayer induced feeling is the most convincing "evidence" for LDS so you ought to accept it if true. So here is the situation as I understand it. The various authors etched into relatively permanent metal what God inspired them to. These very same original metal engravings were given to Smith who translated them, under direct inspiration of God into the English of his day. His translation was then printed as the first edition which was, apparently, then given God's stamp of approval. There is an unbroken line of editions of the book, by printing presses, from the first edition in Smith's day until our own. After Smith's death there were, I think, certain changes made to the book beyond just updating archaic spelling and archaic grammar. All this after Smith said it was the most correct book on earth. It does seem this would be a legitimate problem for me if I were a faithful Saint. But as you rightly point out at the end of your post(and seem to have forgotten earlier on in the post), the Book of Mormon does not claim infallibility or inerrancy. Why, then, make such a big deal out of Slick's claims that the Book of Mormon has errors in it, if you agree with him that there are errors in it? So we see that the traditional approach, which I presume Slick is following, is not a double standard at all. It is merely recognising the fact the the original Bible cannot be with error since it was written by God and that the Book of Mormon as we now have, or so it is held, by Mormons, to a. be even more correct and b. should be identical (apart from updating linguistic convention) yet is evidently not and c. yet has some errors in it. For the Mormon, then, I guess 2 + 2 = 5. To sum up, inerrantists are using a double standard only when you misrepresent inerrancy as traditionally understood and over-exaggerate the similarities and downplay the dissimilarities between the manuscript processions of the the Bible and the Book of Mormon. It really does seem like there is an insoluble problem with error being present in the book which is more correct than the inerrant Bible. Finally, you yourself, in line with the title page, admit there are errors even on the original plates! I think you are misunderstanding not only what Slick was arguing but why I think that biblical inerrancy is not only faulty logic but unsupportable by the historical and textual data. First, my arguments are not a double standard or a straw man because of what Slick was arguing. He was not arguing for the authority of scripture as being inerrant but for the textual variations in the Book of Mormon. Had he argued for the nature of scriptural authority, then that would be a different issue. But the fact is that he was not. He was clearly attacking the Book of Mormon more textual changes. Therefore, he is using a double standard because of the textual changes in the biblical manuscripts both Greek, Hebrew and English. The other problem is that there is no way to validate the claim that the originals were inerrant because we don't have any of the originals to test.
" It is not the Bible which has been changed but copies of the Bible which have changed over the years." This is simply a pedantic cop out. Would you then grant that we do not have the supposed inerrant Bible but only copies? And what does this say about the claims of inerrantists? "I think I even heard somewhere that Smith prayed about an early edition of the Book of Mormon and felt it was correct (i.e. relative to what he saw in the stones)." I would like to see the source for that. "Apparently prayer induced feeling is the most convincing "evidence" for LDS so you ought to accept it if true." A straw man, pure and simple. You have garbled the LDS understanding of the Book of Mormon as well as the textual development of such. Might I recommend the works of Royal Skousen on this? He is the authority on this subject and has been for about two decades. "All this after Smith said it was the most correct book on earth." Context, please. Most correct book in terms of being able to draw men closer to God by its teachings and doctrines. "Why, then, make such a big deal out of Slick's claims that the Book of Mormon has errors in it, if you agree with him that there are errors in it?" Because of his aforementioned double standards. That and his blatant non sequitur as to what this means for the Book of Mormon's authenticity. If in fact Slick does not give heed to the changes in the English text of the Bible, then why would he criticize the Book of Mormon for the changes in its English text? "After all, it is notoriously difficult to reason with Mormons (at least in my experience) and they insist, apparently, on keeping their heads burried firmly in the sand." Not only do I find this to be a cheap shot stereotype, but I also think that one cannot deny that there are also many Evangelical critics (like Slick himself) with the same condition; i.e. ignore contrary voices. Fact is that we all do this to a certain degree, so it is not fair to criticize just Mormons of this.